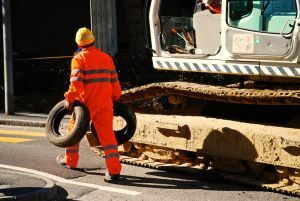 According to a recent news feature from the San Gabriel Valley Tribune, the Los Angeles Country Transportation Authority (Metro) is planning to do a lot of construction work in the near future, and they expect many of the new workers to be women. Technically, Metro will not be doing any of the construction on the five new major rail projects, because they will be awarding bids to general contractors, and these contractors will then hire employees to do the actual work. However, Metro does control the contracting process, and the agreements all require general contractors to employ at least the minimum percentage of female workers as outlined in the agreement. They could, of course, hire more than the minimum number of female employees required, and that would be perfectly fine with Metro. Since Metro gets funding from the federal government, the agency must adhere to federal employment regulations, including a requirement that at least 6.9 percent of all employees on a given project be female. While this clearly far less than the percentage of women in the general population, it is significantly more than what we have seen past with the construction industry, which has been virtually an entirely male occupation for decades. With the exception of the Rosie the Riveter campaign during the Second World War, contractors have apparently not been too willing to hire female workers outside a contract mandate. Hopefully, this will not always be the case, but, until that happens, these mandates serve an important function. While some of Metro’s contracted projects are at or near the 6.9 percent requirement, others are nowhere close. In reality, many projects have less than one percent female employment, and Metro’s diversity direction is not happy with these numbers. We are talking about jobs including carpenters, plumbers, electricians, and other historically male dominated tradecrafts, as well as other types of employment. It should be noted that not all construction companies have a problem with hiring women. The problem is that there simply aren’t many female employees available to work. This does not mean women would not want to work as an electrician, for example, but when we look at the membership of an electrical workers’ union, or the number of women getting apprenticeships and vocational training in this field, we are not seeing promising numbers. It may be that a major cultural shift is needed at much earlier stage, so women know these jobs will be available if they get the training. However, it is also likely that men in the unions and associations may make things very difficult for women to get the proper training and join these organizations. Fixing this problem will require assistance from union leaders and, if necessary, enforcement by federal agencies to correct any gender-based employment discrimination in the Los Angeles area. Specifically, if we look at typical college-level welding classes, we will see 400 students, and around five to ten of them will be female. We are not talking about five to ten percent, but rather five to ten students out of the total 400.